← How to convert multi-page PDF file to single page HTML file? How to flatten a PDF file for preview in Windows, Mac and Outlook application? I need a commend line tool which will simply flatten a PDF (such as attached) so that the form field contents are "visible" in the windows and outlook preview modes (so that they don't appear as empty). I've downloaded a trial of your product, but haven't been able to find an option to simply flatten the file. Can you product do this? 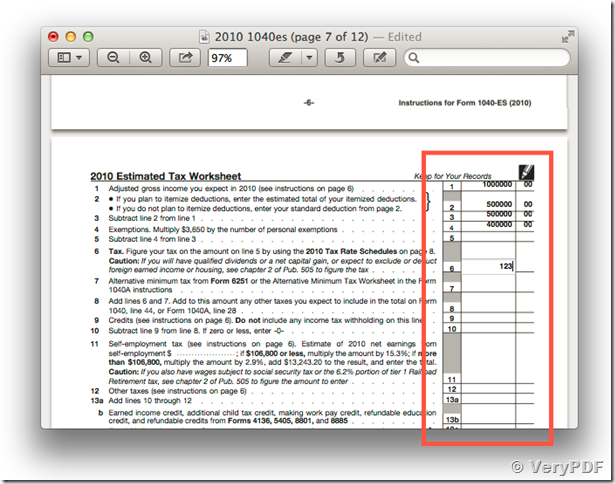 If you need to save a filled-out PDF form so the content is no longer editable, you can do so with Preview in OS X. The PDF format is handy as a cross-platform approach to preserving document layout and structure; PDFs are commonly used for electronic forms with editable fields for you to fill in data. While this is convenient, if you have a PDF form you are managing, you may run into an issue if you want to save the PDF's entered data in a static form that can no longer be edited. Doing this is called "flattening" a document, and is commonly applied to any file type that contains multiple elements to present a final rendered product. For example, a Photoshop image may have numerous layers to it so each layer can be edited separately by the artist. Flattening the layers combines them into a single layer, making them no longer editable independently. Similarly, an editable field in a PDF is simply another layer that the PDF format supports, and they can be flattened to make any entered contents static. However, if you add data to a PDF form in Apple's Preview program (the default PDF reader in OS X), you may find no explicit option to flatten the PDF. If you save the PDF or duplicate it to another document, or use the "Export" option in the File menu, the fields will continue to be editable when you next open the document. 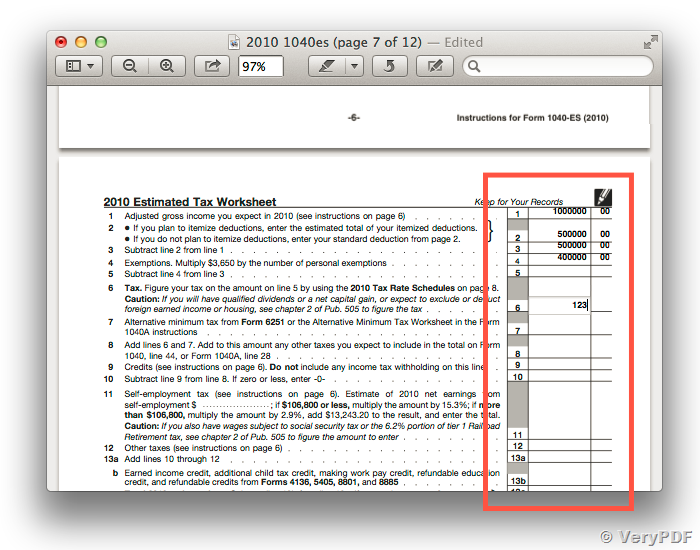 Despite this apparent limitation, OS X does have a feature that will properly flatten a PDF in Preview. Instead of using standard file saving and exporting features supported in the program, use the global "Print to PDF" service in OS X. This global service will take any document in the form that is sent to the printer, and save it as a PDF instead. Since the printer cannot handle multiple layers, this service will flatten all contents to a basic PDF document. To do this, simply press Command-P or choose the print option from the File menu. Then select "Save as PDF" from the PDF menu at the bottom-left of the print dialog box. When finished, the resulting document will no longer be editable. How to convert Interactive form in to static form before sending it to iPhone? How to flatten PDF form to normal PDF file by cloud API? How to convert interactive PDF forms to static PDF and set password? How to embed external files into the pdf? How to cross merge PDF file? This entry was posted in PDF Toolbox Command Line and tagged flatten PDF, flatten PDF form. Bookmark the permalink.